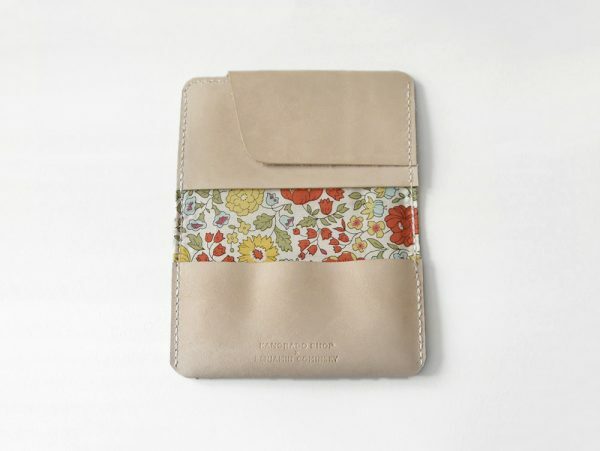 This card case designed and made by Kanorado Shop x Benjamin Cominsky. 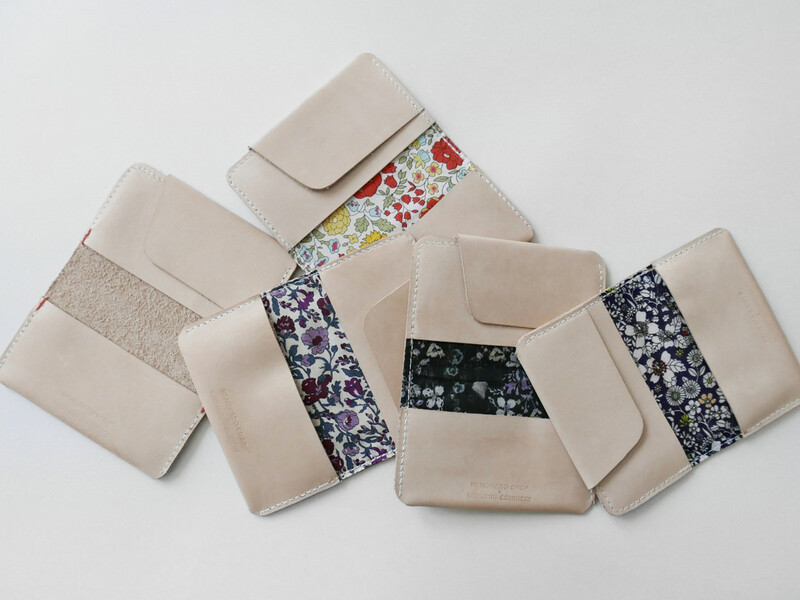 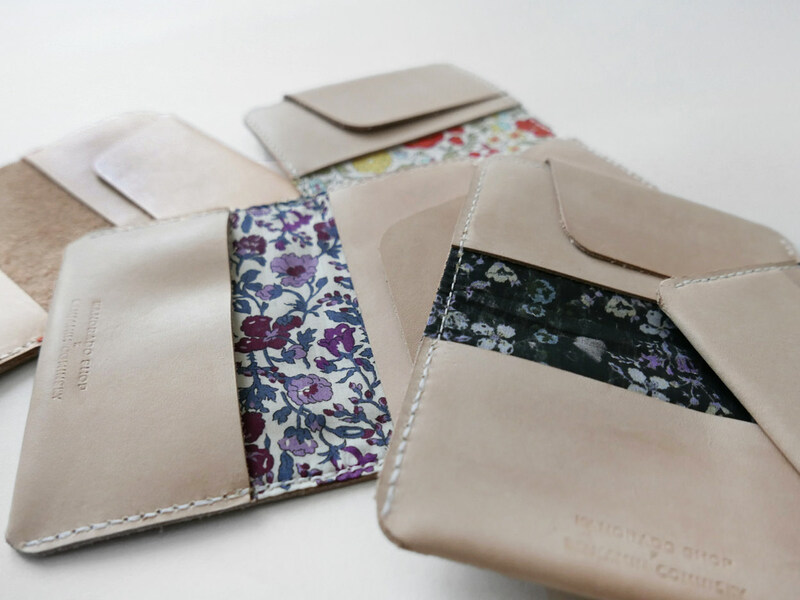 Super fine quality thin natural leather with Liberty London fabric lining. Two pockets and a 3/4 pocket for transportation card such as Metro Card.